We have all had those moments when we have worried about creepy-crawlies climbing into our homes through drains. But most of us dismiss this scenario as an impossibility, after all how could insects travel such a vast distance without being washed away by flowing water? Well, as it happens, there is one exception–drain flies. It would not be accurate to say that drain flies travel from sewers only to eventually arrive in people’s homes; instead, drain flies prefer moist conditions, such as the environment that exists directly below sink and shower drains. Drain flies thrive within homes and other indoor locations that have been abandoned for extended periods of time. You will likely not encounter a drain fly in a home where water runs frequently, due to the obvious reason that running water would wash drain flies down the drain quickly. Therefore, drain flies are rarely a serious problem, and they are always a merely temporary problem. Homeowners often spot drain flies upon returning home from a vacation, but luckily, drain flies will disappear once normal household activity resumes. However, sometimes homes can be abandoned for a long enough time to allow drain flies to establish a more stubborn presence within homes, and this is especially true when drain fly populations have grown to sizes that homeowners cannot manage without the assistance of a pest-control professional. Drain fly infestations, although rare, are often particularly difficult to be rid of once they multiply to a certain point. Much like the majority of gnats, drain fly larvae require moist environments in order to survive. When drain flies infest indoor locations, they are most often found dwelling within toilet bowls, sink and floor drains, within basement drains and within drain pans located underneath refrigerators. It is not uncommon to find drain fly larvae squirming within shallow areas of standing water that are located both outdoors and indoors. If you should discover drain flies within your home, they can most likely be exterminated entirely with a rolled up newspaper and a thorough drain cleaning. But if these methods do not rid your home of these drain-dwelling gnats, hiring a pest control professional may become necessary. 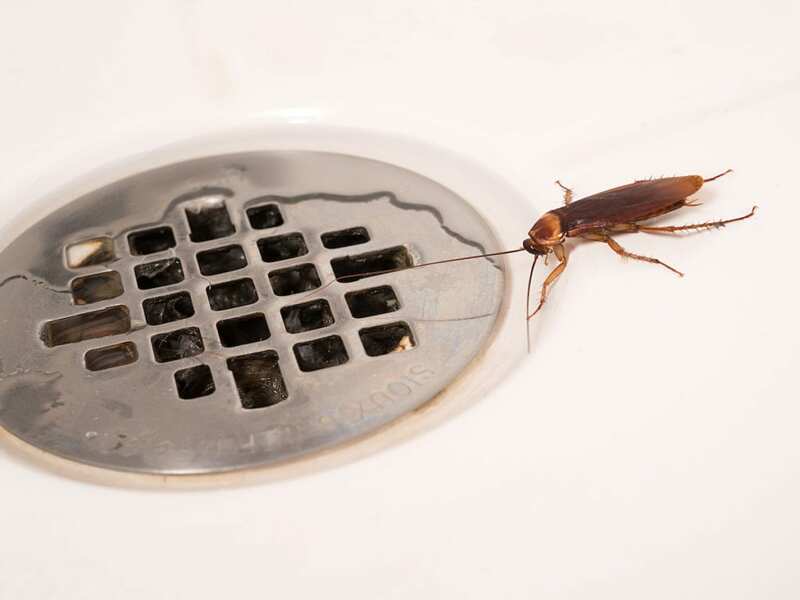 Have you ever witnessed an insect climb into your home through a drain? If you have, was the insect a drain fly?